Inspired to research about the chemicals that we put into our body daily after her sister was diagnosed with stage 3-breast cancer, Michelle Stafford found that most of the products that we put in and onto our body contain harmful toxins that can hurt our bodies, and set us up for health risks in the future. Upon discovering this information, Michelle set out to create products that were organic and natural. She spent months creating and testing products on herself that were up to her high standards of value and refused to sell anything less than excellent. She founded Skin Nation on the belief that every one of all shapes, sizes, colors, genders and ethnicities from all different backgrounds should be able benefit from using clean, inexpensive products. Smear no more! Our unique formula keeps your eye makeup smudge free, keeping those peepers gorgeous and alluring with our non-irritating, fragrance free, collagen building formula created for every skin type. Remember, the eyes have it! 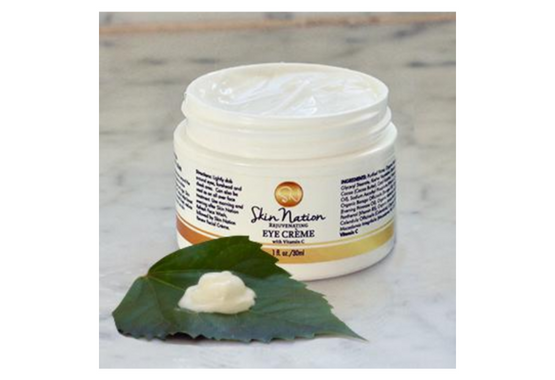 Intensify your skin’s overall beauty and youthful appearance by nourishing and protecting the delicate eye area. 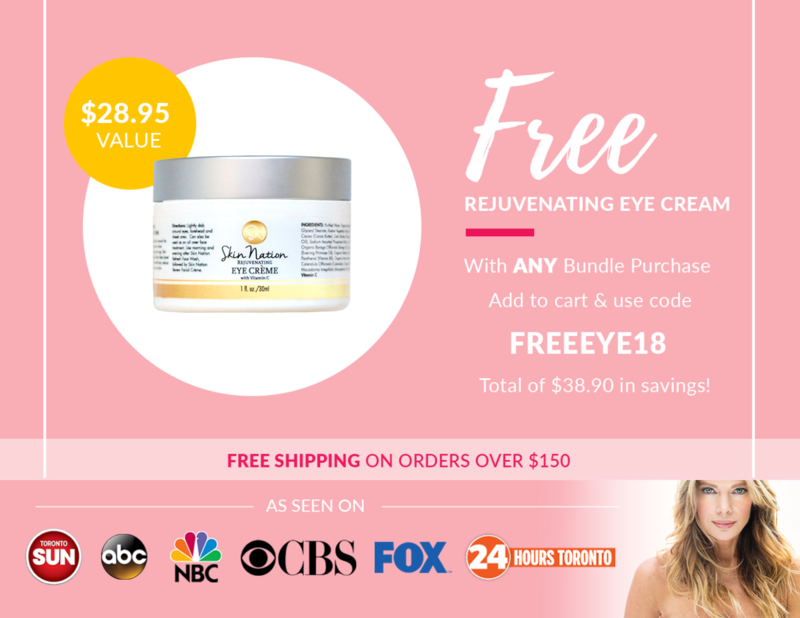 No eyes left behind with this gentle yet effective eye crème that uses the best possible ingredients, like Vitamin C, to protect and prevent skin from those pesky free radicals that quickly age skin, especially around the eyes. Our unique formula provides seamless hydration that will keep your eye makeup in place with out spreading the love down your face. No raccoon eyes for you! Go To Bundles Page NOW! THANK YOU! These are THE products I've been waiting for all my life. After two months of using the your products instead of my old moisturizer, my skin is so clear and even that I frequently need nothing else on my face. THANK YOU! These are THE products I've been waiting for all my life. After two months of using the Anti Aging kit instead of my old moisturizer, my skin is so clear and even that I frequently need nothing else on my face. By far these are the best 'products' for women over 40. I feel the need to brighten up just a little. Time is showing on my face, which is beautiful, but any of these bundles are the perfect accompaniment to a wonderful youthful feeling life. Skin Nation is amazing! Just got my order and I couldn't be happier! I've spent a lot of $$ on products over the years that have been a complete waste of money, but Skin Nation is worth every penny. Sand & Sea Bundle….I'm a natural girl and don't wear make-up…..I had several comments on how great I looked and I just glowed!!! lol!